Here in the Galactic Empire, we'd never use the Force for good, but that doesn't mean you can't. 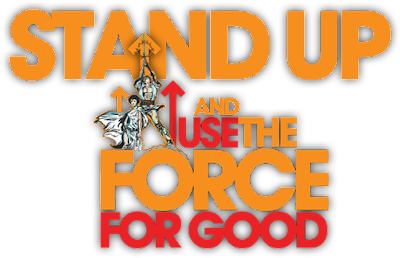 Lucasfilm and Stand Up To Cancer have joined Forces to "blast Cancer" once and for all in their "Use the Force For Good" campaign. Now, we don't know about being good (actually, we do - you feel all nice and mushy and non-hatey inside, it's disgusting), but we DO love and strongly encourage the blasting of things. So to help "blast Cancer", make a donation to SU2C and/or purchase a SU2C/Star Wars t-shirt. Of course, if you'd like to learn more about the Dark Side, you're welcome to read "10 Reasons Why the Dark Side is Just Plain Better"? Beautiful!Fantastic! Great post..thanks for sharing here..